The traditional security monitoring and incident response (IR) capability that has being used across the enterprises in the last decade has fallen behind. It is consensus across the IT security industry that we need a more robust, capable and efficient security monitoring and IR framework. The new framework should enable us to combine security and intelligence functions. An intelligence driven security that allows us to plan for, manage, detect and respond to all categories of threats even as they become more frequent and severe. In other words we want to maximize the organization effectiveness and efficiency to block, detect and respond to attacks. How? By introducing into the traditional security stack the threat intelligence security function we can do more and better. 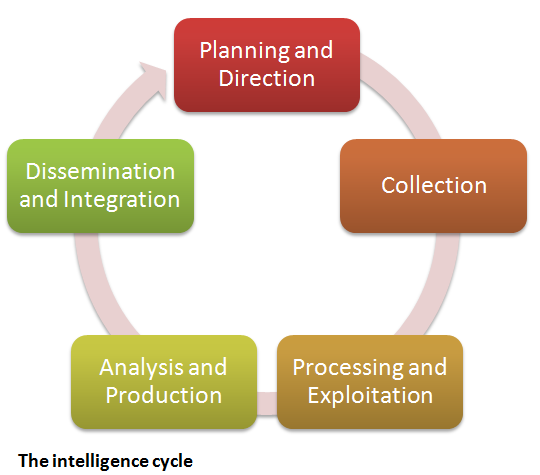 Following the last post about about what intelligence means and what is the 5 steps of the intelligence cycle below an introduction to Cyber Threat Intelligence topic. A quick summary on what is threat intelligence, what is its value and what are the sources to consume or produce intel. More about this topic will follow in future posts. Threat intelligence is a recent paradigm in the IT security field that continues to gain a lot of traction due to a change of focus in the risk equation from the vulnerability into the threat. Tracking threats that are specific to your industry, organization or region is key to minimize damage that can caused by an attack. On the one hand we have strategic threat intelligence. A capability that needs processes, tools and people to leverage an understanding about the attacker’s capabilities and intents. Is normally delivered through reports that are produced by humans and consumed by humans and is the most expensive and hardest to produce. It produces information to support well informed decisions of long-lasting importance such as which policies and processes should change. Or what new changes one should accommodate in the security infrastructure to adapt to the new threat landscape.From a well-established and mature strategic threat intelligence practice you should be able to get answers to questions like: Who is your potential adversary? What is the adversary’s capability to cause you harm? Do they have the intent to cause harm? Where are you vulnerable? How could anyone harm your organization if they wanted to do so? On the other hand, we have tactical threat intelligence. A capability that aids the prevention, detection and response competencies with real time threat data that is consumed across different systems and functions. Data such as IP addresses, domain names, URLs, email addresses, hashes values, HTTP user agents, registry keys, etc. Remnant pieces of information left by an attacker that can be used to identify threats or malicious actors. These pieces of information are nowadays called indicators of compromise and can, for example, be used to search and identify compromised systems. This thread data is tactical threat intelligence and is of limited life span. Tactical threat intelligence should be disseminated, integrated and consumed in an automated fashion. This type of threat intelligence is the cheapest and easiest to create. What is the value of Cyber Threat Intelligence? Make well informed decisions on where you are spending your security dollars. Create comprehensive insight about the threats by developing facts, findings and forecasts about threat actor’s capabilities, motives and tradecraft. Create recommended courses of action on how to adapt to the evolving threat landscape in order to reduce and mitigate risks. Being able to plan for, manage and respond to all categories of threats – even as they become more frequent and more severe. 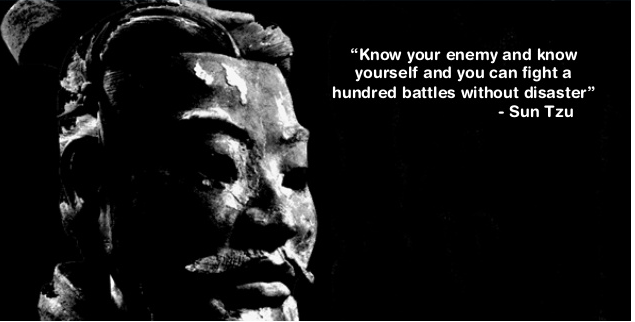 Develop situational awareness about capabilities and intents of your adversaries. Know your adversary and what are they looking for. Minimize the risk of attacks that could result in lost revenue, public embarrassment, and regulatory penalties. Improve the effectiveness and efficiency of security monitoring capabilities by integrating and matching threat intel data. Augment security operations and incident response functions with actionable threat data. Reduce the number false positives by adding threat intel data into security operations. Accelerate Incident Response actions and remediation priorities based on targeted information. What are the sources of Cyber Threat Intelligence? 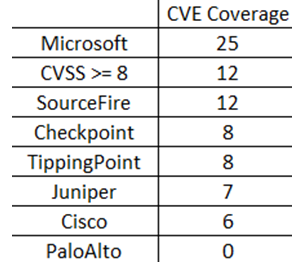 The sources might vary depending if you are a consumer or a producer of threat intelligence. From a consumer perspective – where the majority of the organizations fit in – they mainly fall into two categories. The open source ones that are free and can be retrieved by anyone. And the closed sources that are commercial or with restricted access. These ones often need a payed subscriptions or being member of a closed circle of trust. Either one, they fall under tactical threat intel when data is delivered to the consumer trough feeds with indicators of compromise. Or they fall under strategic threat intel when the deliverables is a report about capabilities and intents of malicious actors. From a producer perspective the sources are even broader and using different disciplines. Normally, if you are a service provider there is the incentive to produce it using the most variety of sources, methods and disciplines. Mainly due to the fact service providers do it for a profit. For example, iSight Partners, Dell SecureWorks, Mandiant or CrowdStrike are good examples of service providers that create strategic and tactical threat intelligence combined together. They have dedicated teams of researches that perform all kinds of activities, some of which might be almost considered under intel agencies or law enforcement umbrella. Examples of sources used across producers are honeypots and spam traps that are used to gather intelligence trough the knowledge and information that one could obtain by observing, analyzing and investigating the attacker that are lured to it. Another source could be the output of doing static and dynamic malware analysis. Back in 2011, market research companies like IDC, Forrester and Frost & Sullivan were making market analysis about the growth of cyber threat intelligence services and alike. Their analysis stated a double digit growth year of year. Their projections seem reasonable and their current estimations continue in this trajectory. Nowadays, cyber threat intelligence continues to gain a lot of traction and hype across IT security. However, as many other cases in the IT security, the industry is adopting the jargon used across government agencies and military forces. That being said I wanted to write about cyber threat intelligence. But I thought would be good to first read and understand what intelligence means across the intelligence agencies and military domains in order to have good foundation before applying it to cyber. Below short summary I made on what intelligence is and what the 5 steps of the intelligence are. Intelligence is the product that results from a set of actions that are performed to information. Traditionally, used across governmental organizations for the purpose of national security. The actions are collect, analyze, integrate, interpret and disseminate. The final product of intelligence gives value-added, tailed information that provides an organization or its adversary, the ability to make conclusions. For the enterprise the information product might be to seek information about the threat actors means, motive and capabilities. On the other hand the adversary might want to seek information about intellectual property (patents, copyrights, trademarks, trade secrets, etc) from your company in order to gain economical advantage or to subvert its interests. In any of the cases the information produced gives an edge, a competitive advantage to you or to your adversary. The information produced contains facts, findings and forecasts that supports yours or the adversary goals. There are two categories of Intelligence. One is strategic and the other is operational. Strategic intelligence means information produced to support well informed decisions of long-lasting importance. Strategic intelligence is broader and often requires information concerning different fields. Operational intelligence is of limited life span and it to be used rapidly and is concerned with current events and capability. What are the 5 steps of the Intelligence cycle? Planning and direction – This is the first step. It’s here were the requirements and priorities are set. The capabilities to produce Intel are limited as any other resource which means we want to maximize its production with a constant number of resources. Among others, a methodology to define the requirements might be using the “Five W’s”. It’s also in this step where we define which areas the intelligence produced will have the most impact and make to most contribution. During the planning is fundamental to specify which categories of Intelligence will be gathered i.e. OSINT (Open Source Intelligence). In addition, the processes, people and technology to support the different steps in the cycle need to be established with clear roles and responsibilities. Collection – The second step includes all the different activities, mainly research, that involves the collection of data to satisfy the requirements that were defined. The collection can be done either via technical or human means and involves gathering data from a variety of sources. In the military and intelligence community the sources normally used are people, objects, emanations, records. These sources span the different collection disciplines named as HUMINT, IMINT, MASINT, SIGNT, OSINT and others. Once collected, information is correlated and forwarded for processing and production. Processing and exploitation – Third step, the collected raw data starts to be interpreted, translated and converted into a form suitable for the consumers of the intelligence. The raw data becomes information. Analysis and production – The refinement of the information that was produced in the previous step. The fusion of the different information that was processed from the different intelligence disciplines. These are key tasks performed during this step. The analysis consists of facts, findings and forecasts that describe the element of study and allow the estimation and anticipation of events and outcomes. The analysis should be objective, timely, and most importantly accurate. To produce intelligence objectively, the analysts apply four basic types of reasoning. Induction, deduction, abduction and the scientific method. Furthermore, because bias and misperceptions can influence the analysis the analyst should be aware of the different analytical pitfalls. The outcome is value-added actionable information tailored to a specific need. For example, in the United States, creating finished intelligence for national and military purposes is the role of the CIA. Dissemination and Integration – Essentially, this step consists in delivering the finished product to the consumers who requested the information. This can be done using a wide range of formats and in a manual or automated manner. 20 days have passed since my last post about how to do a live memory acquisition of a windows system for malware hunting and forensics purposes. In that article, I explained the details on how to create a collector, collect the data, and import the data into Mandiant Redline. 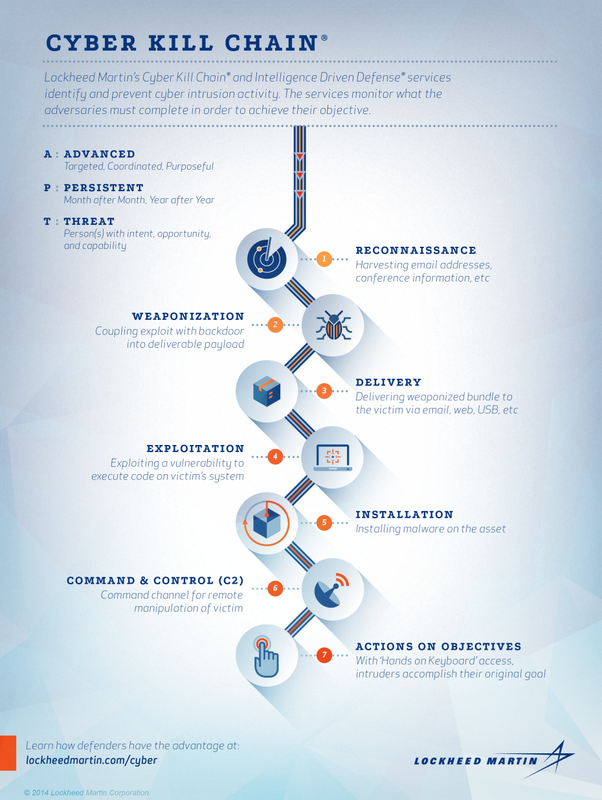 The second part will be about the investigation and how to look for threats using indicators of compromise (IOC). However, before part II , I would like to give a brief introduction to IOCs. For those who never heard about indicators of compromise they are pieces of information that can be used to search and identify compromised systems . These pieces of information have been around since ages but the security industry is now using them in a more structural and consistent fashion . 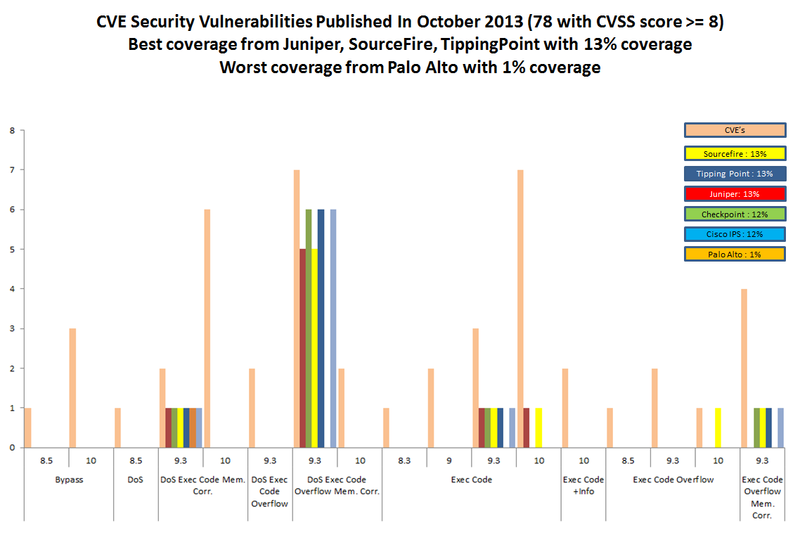 All types of companies are moving from the traditional way of handling security incidents. Wait for an alert to come in and then respond to it. The novel approach is to take proactive steps by hunting evil in order to defend their networks. In this new strategy the IOCs have a key role. When someone compromises a systems they leave evidence behind. That evidence, artifact or remnant piece of information left by an intrusion can be used to identify the threat or the malicious actor. Examples of IOCs are IP addresses, domain names, URLs, email addresses, file hashes, HTTP user agents, registry keys, a service configuration change, a file is deleted, etc. With this information one could sweep the network/endpoints and look for indicators that the system might have been compromised. For more background about it you can read Lenny Zeltzer summary. Will Gragido from RSA explained it well in is 3 parts blog here, here and here. Mandiant also has this and this nice articles about it. Now, different frameworks and taxonomy exist in the security industry in order to deal with IOCs. These frameworks are important in order to share information in a consistent, scalable, automated and repeatable way across different organizations. One initiative is the OpenIOC sponsored by Mandiant. OpenIOC uses an extensible XML schema that allows to describe the technical characteristics of an intrusion or malicious actor. Another initiative is from the IETF Working Group who defined two standards. One for describing the observables of security incidents which is The Incident Object Description Exchange Format (IODDEF) described in RFC 5070. The other is the Real-time Inter-network Defense (RID) described in RFC 6545 and is used to transport and exchange the IODEF information. Other initiative is from MITRE that developed CyboX, STIX, and TAXII , all free for the community and with high granularity. In order to read more about these initiatives Chris Harrington from EMC Critical Incident Response Center has a nice presentation about it. 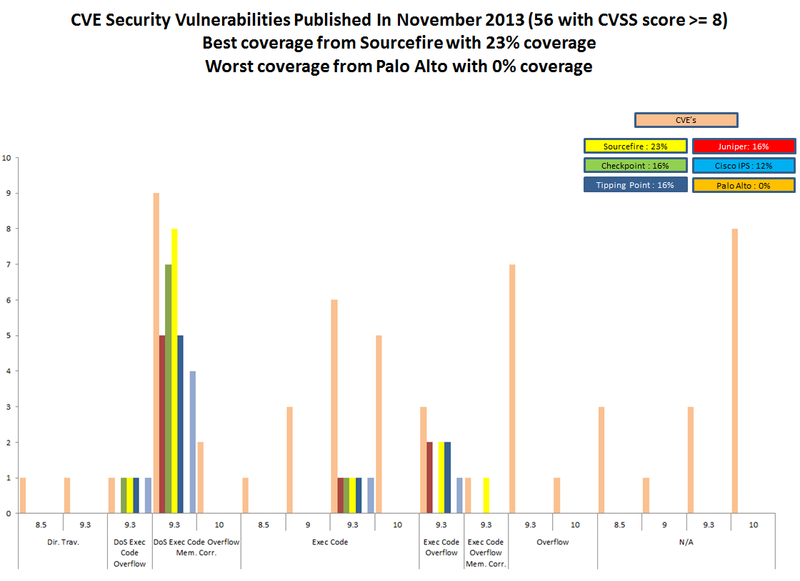 Other resource is a very interesting study made last October by ENISA named Detect, SHARE, Protect – Solutions for Improving Threat Data Exchange among CERTs. 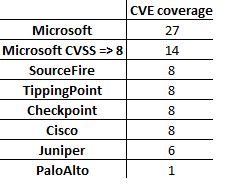 That being said, we can now start using these IOCs to defend our networks. One way is by gathering information from the investigations made by security researches or vendors with actionable intelligence. For example back in September 2013 the campaign “ICEFOG : A tale of cloak and three daggers” was released by Kaspersky. This report contains great technical details and significant amount of actionable information. Another example was the NetTraveler campaign which has been disclosed in June 2013. This report describes a piece of malware was used to successfully compromise more than 350 high-profile victims across 40 countries. The report is well written and contained great technical details. On chapter 5 it presents a huge list of IOCs to help detect and eradicate this threat. Following that, Will Gibb from Mandiant converted the information from the NetTraveler report into the OpenIOC format. With this IOCs one could import it into Redline. Of course this was an effort made by a vendor to incentive the usage of his format but others could use any other standard or framework to collect this observable’s and turn them into actionable information. On my next post I will show how to import IOCs in OpenIOC format into Redline and find Evil on my wife’s laptop!